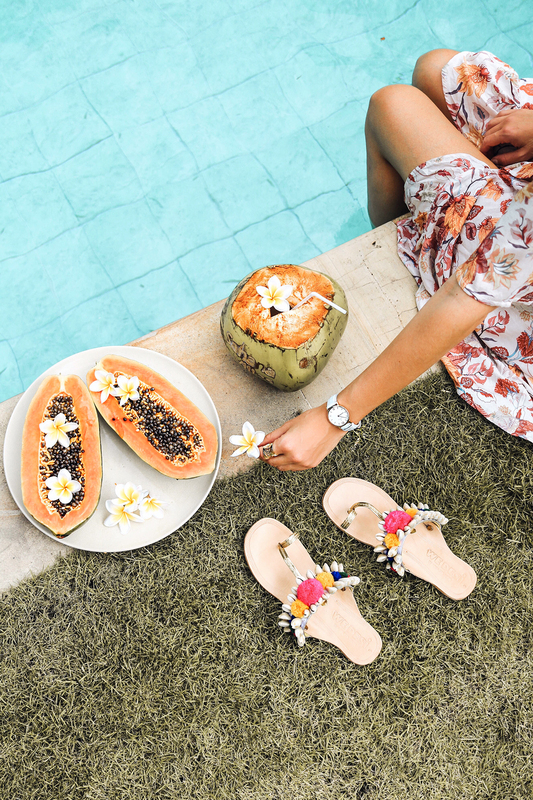 I like to spend as much time as I can in Bali and each time I’m there, I love to try out a new experience. 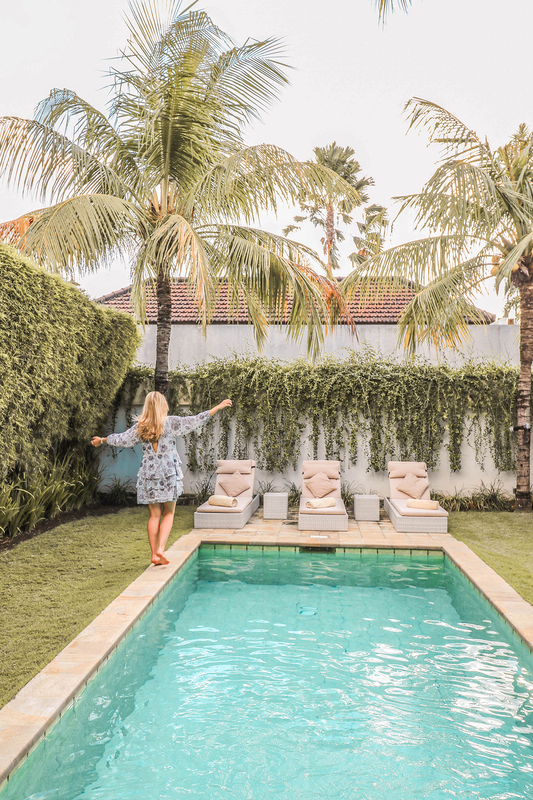 We recently spent a few nights at the gorgeous Sahana Villas in Seminyak and just selecting the pictures for this blog post, makes me so happy! I love the entire island of Bali and there are countless spots there that I hold in my heart, but my favorite town is still Seminyak. I feel at home there because it has almost everything one expects from a tropical vacation destination: great restaurants, nice shops and a long strip of beach clubs from upscale to a more local vibe. 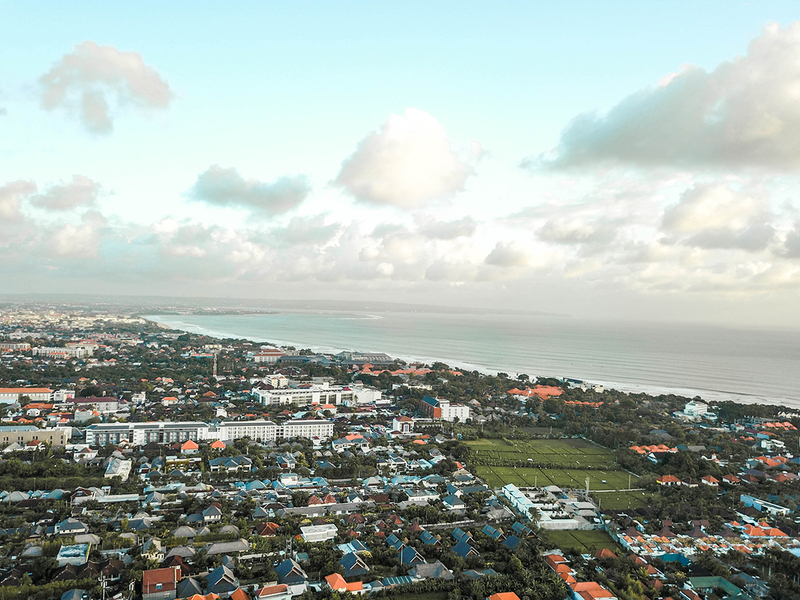 The Sahana Villas are located in the heart of Seminyak, at walking distance from the many of the best shops and restaurants on Oberoi street. The amazing thing is that despite all the nearby hustle and bustle, the villas are very quiet and secluded. 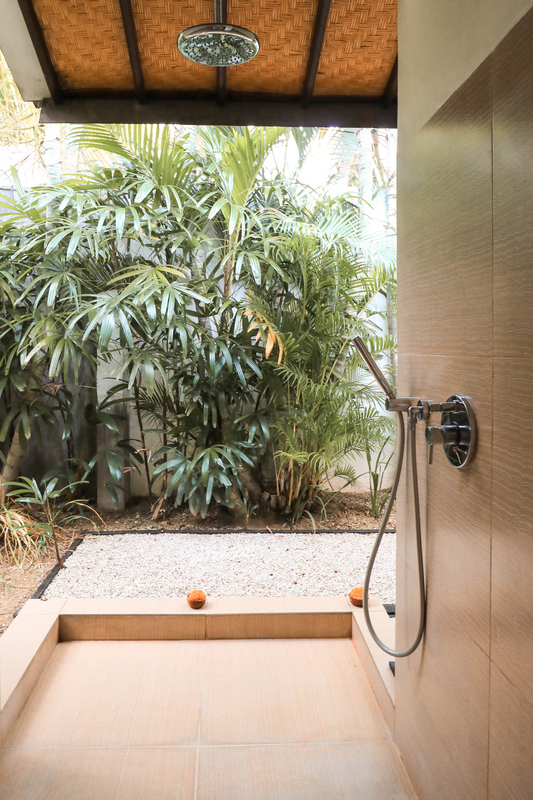 The villas have 3 bedrooms and each bedroom has its own outdoor bathroom, which provides the tropical, exotic feeling that you want when you are staying at a villa on Bali. Adding to the tropical vibe are the beautiful joglo, the wooden house in typical Indonesian style that houses one of the three bedrooms and the open living room that I love so much. 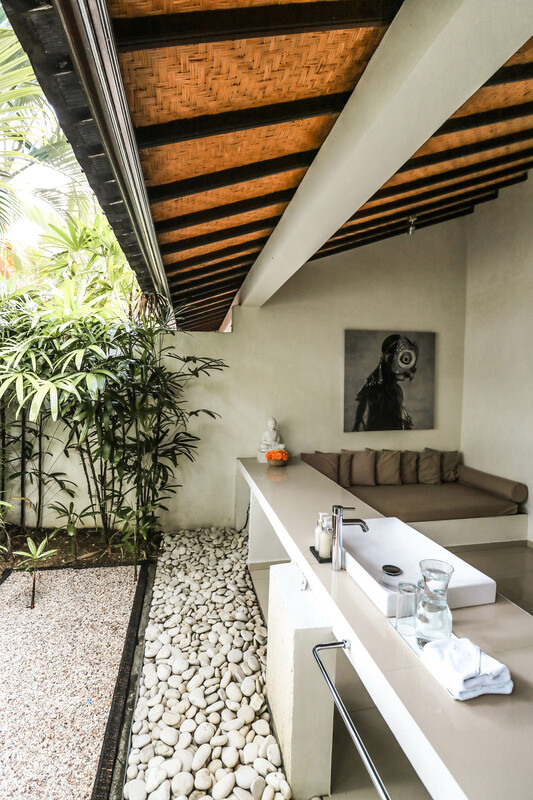 The villas are all very spacious, have a lush green garden and can easily accommodate a family of six. A stay at Sahana Villas comes with a tasty complimentary breakfast, prepared to your wishes by the very friendly staff. Starting the day with this wonderful meal and the Balinese coffee from their own plantation in the mountain areas of Bedugul, is just magical. I loved sipping a fresh coffee while lying stretched out on one of the sun loungers by the picture perfect pool! 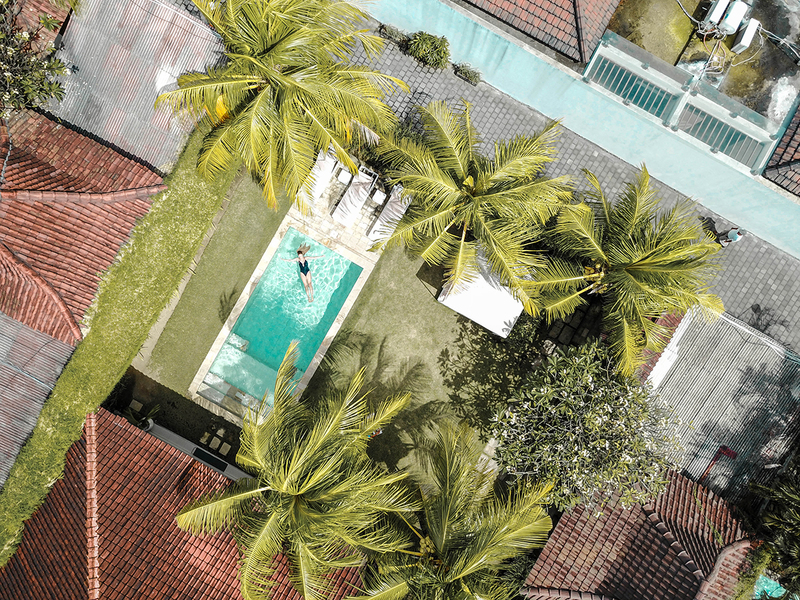 We flew our drone to take some aerial pictures that highlight just how green and lush Sahana Villas are. 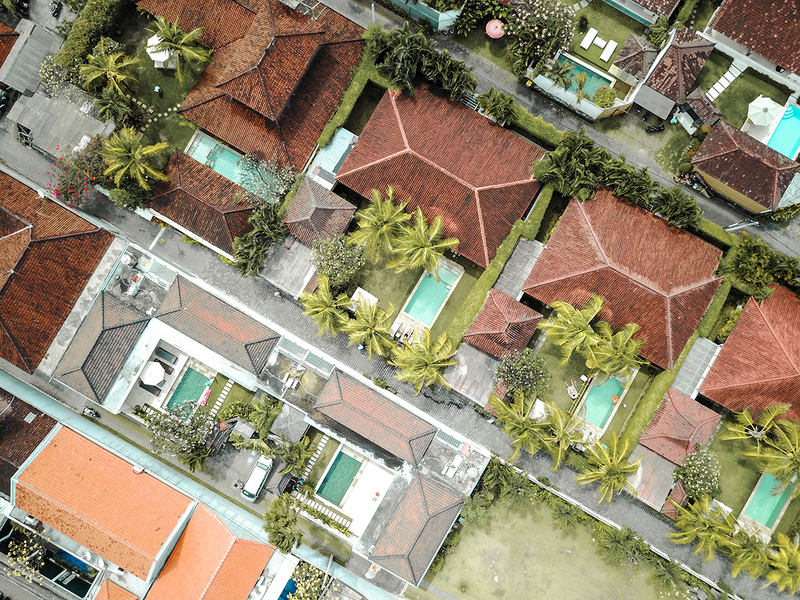 Flying over Seminyak also clearly showed how much larger the villas at Sahana are than at other properties that may appear similar from the pictures. In the end, from any travel experience, you remember the people. Our butler was Mia, who was so sweet and welcoming we felt like she was our Balinese mom while we were staying. 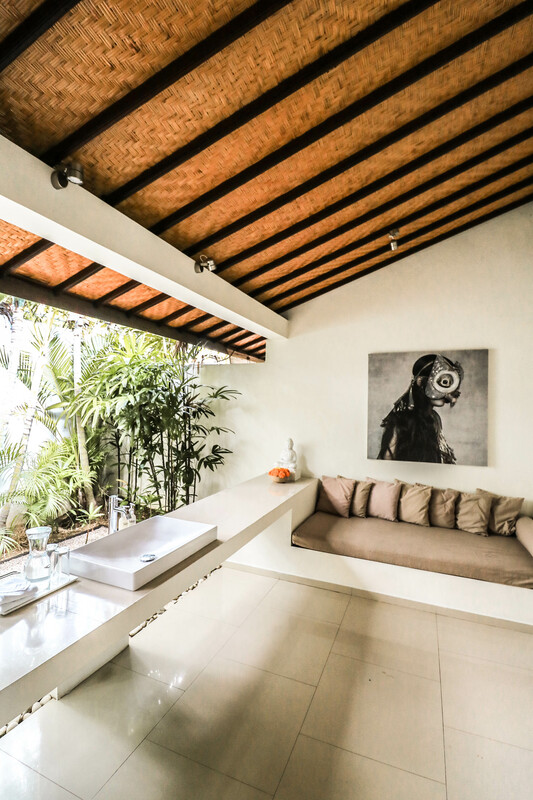 In busy Seminyak, Sahana Villas are a wonderful retreat where you can kick back, relax and smell the franginpanis! 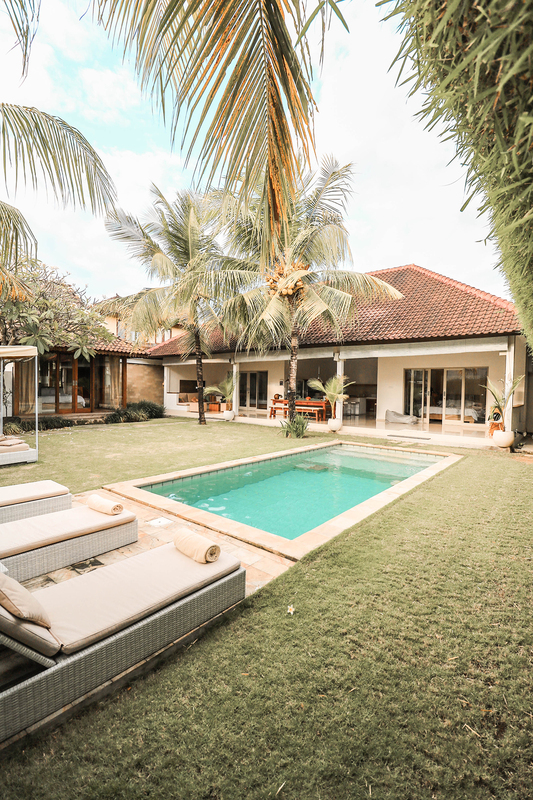 Posted in TravelTagged 3 bedroom, bali, Luxury, Seminyak, Travel blogger, Villa reviewBookmark the permalink. Wow, this place is absolutely gorgeous, and I’m loving every one of these beautiful photos! I’ve always wanted to visit Bali! Can I borrow those cute sandals? You always represent your vacations in the best way! Your photos are so phenomenal! OMG. This place looks amazing. Your pictures are fantastic. 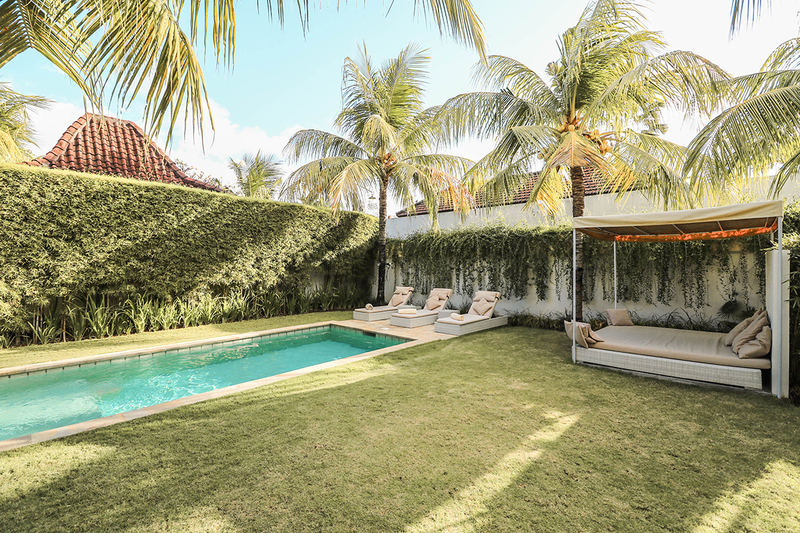 BALI and especially Sahana Villas in Seminyak looks so great. Wow!!! Breathtaking shots, it looks like a really cool place to relax darling!!! Wow, what an amazing article! I love all the pictures as well, they make we want to go to Seminyak instantly… Absolutely beautiful! 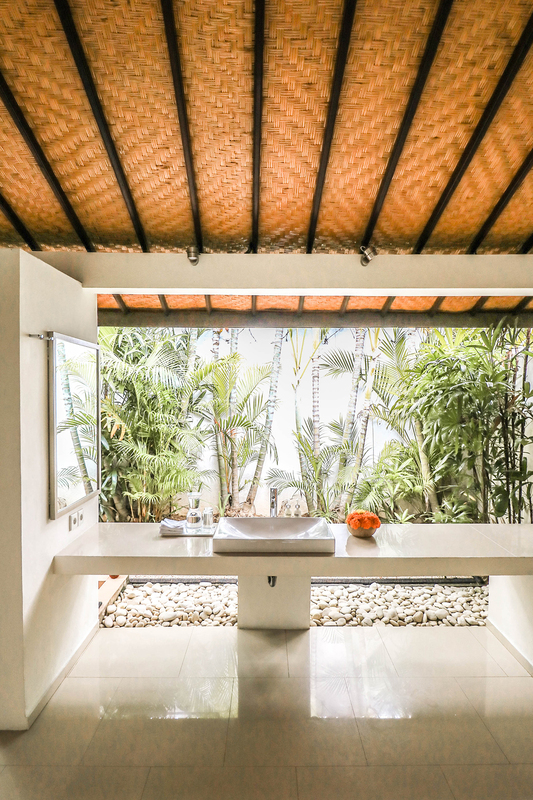 Sahana Villas look magical that’s for sure! It looks ever so serene and a great place to visit, so stunning. I’m very taken with the photographs showcased here! Bali looks amazing and all of your photos are gorgeous! You are making me want to go there ASAP! And your dress is too cute as well too, lady! Omg your dresses! They are so fab! Loving the villa as well, I miss Bali! What a marvelous retreat! Absolutely delightful! Ohhh my gosh, got so much love for your pictures!! Incredible! OMG this place is just gorgeous! The villa is so luxurious and I am glad Mia took great care of you. I wish I could go to Bali at least once, the place feels so rejuvenating! I love the style of your pictures. They look incredible. You just made me want to go to Bali now! Amazing place to stay! Oh wow just gorgeous! Three bedrooms with three bathrooms this could be good for a ladies getaway too. And LOVE the drone shot of you on in the pool, good job! I want to try to use a drone, but not going to lie I am afraid!